With over 15,000 press releases distributed online weekly, it's a real challenge to get yours to stand out from the crowd. We're here to show you how to take that boring traditional press release of yesterday and optimize it for the search engine savvy client of today! According to industry research site Marketing Sherpa, 92% of journalists now use search engines to research their stories, with 81% using search engines daily. These same journalists are reading blogs, subscribing to RSS feeds and visiting social media sites in record numbers. To reach these journalists, nearly 75% of search engine marketers and PR professionals are writing press releases they've optimized for the search engines and social media sites. This resulted in the rise of what is known as the Social Media Release or SMR for short. The number of these new media releases or SMRs distributed online has tripled in the last two years! 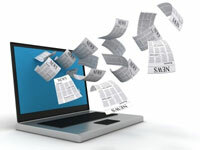 Press releases are something that we here at SearchEngineNews.com have recommended for quite some time as an effective link building and traffic generation tool. "The value of press releases has DECLINED since the roll-out of the Google Panda/Content Farmer updates earlier this year." As we covered previously here and here, Google Panda was meant to lower the value of perceived content farms which tended towards distributing mirrored content.